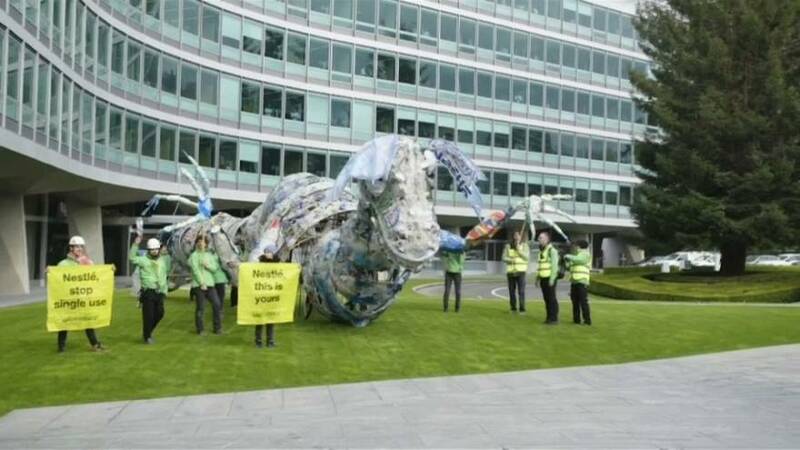 Activists sailed in canoes and kayaks on Leman Lake with banners, put a giant creature made of plastic in front of the company's headquarters and unfurled a giant banner. Common single-use items include straws, coffee stirrers, soda and water bottles. Millions of tonnes of plastic end up in our oceans each year.